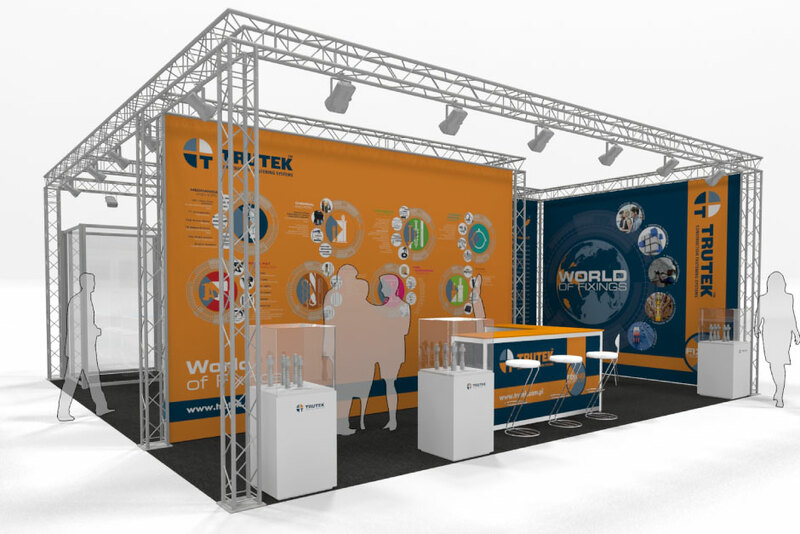 Are you looking for a Lighting Gantry Exhibition Stand this year? We Design. We Build. We Manage. 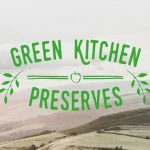 We are Experts! We first started working with lighting gantry nearly 10 years ago, and have developed a good working relationship with the manufacturers of a particularly high-spec system. The system comes in a range of sizes and can be either 2, 3 of 4 tubed. 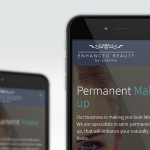 The size of the system we use is entirely dependent on the design and the size of the stand space. 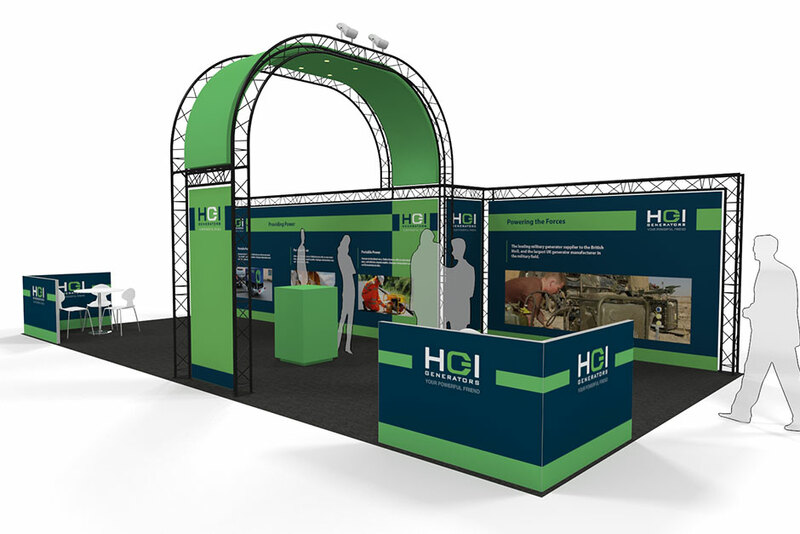 We can also supplement the design with custom elements, and other systems – for instance the HGI Generators exhibition stand has a custom ceiling structure, with downlights and on the corners of the stand we supplied modular dwarf walls for additional branding. 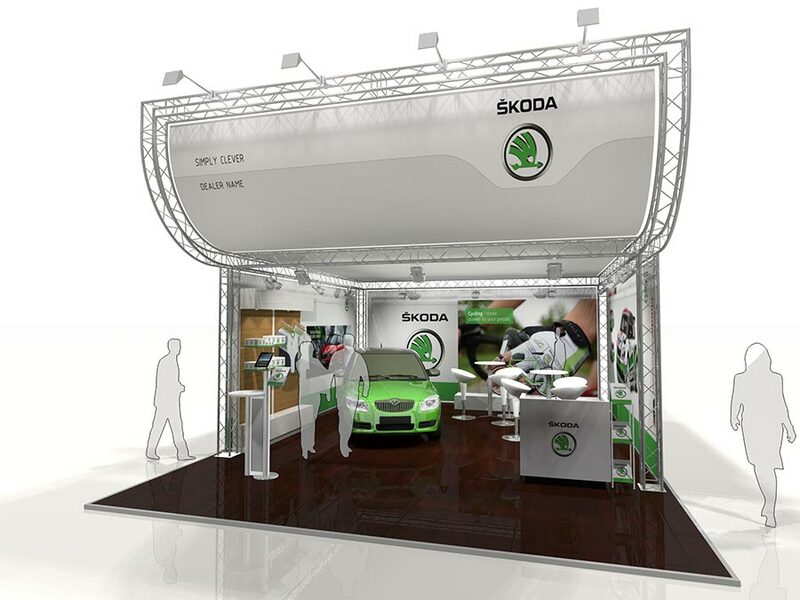 Why Choose A Lighting Gantry Exhibition Stand? There are a number of benefits to using lighting gantry for your next exhibitions stand build, generally speaking they are very quick to put up, due to the modular nature of the system it is very easy to put together and because of the lengths used, long runs can be covered very easily. We can provide large, seamless banners for these structures, which can be fitted very quickly and easily with nothing more than cable ties. 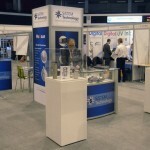 Can I Self-Build A Lighting Gantry Exhibition Stand? Absolutely! 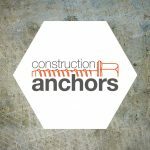 Yes – you can, they’re relatively simple to construct – we can supply the system on a hire basis or you can buy it outright, we can provide lighting again on a hire or purchase basis, along with banners, furniture – everything you need to have a successful exhibition.